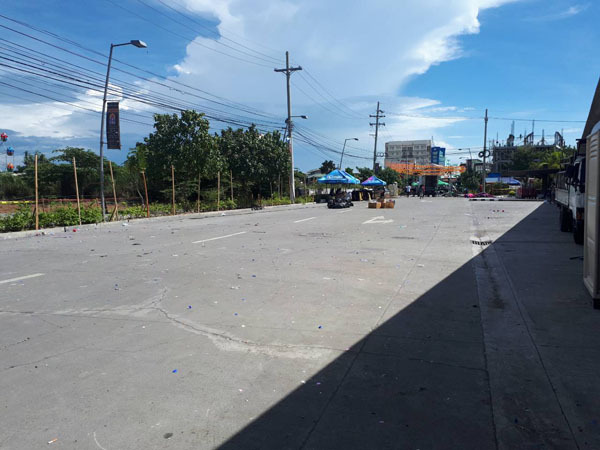 SINCE the inception of the religious and cultural Dinagyang Festival in 1967, Iloilo hosts an annual celebration that includes a fluvial procession, street dancing, the Kasadyahan Cultural Parade, and the Dinagyang Ati Competition. According to estimates, this year’s Dinagyang drew in at least 50,000 spectators who watched the competition alone. Globe and Headrush volunteers collect confetti, bottles, cups, and other trash left behind after the party. 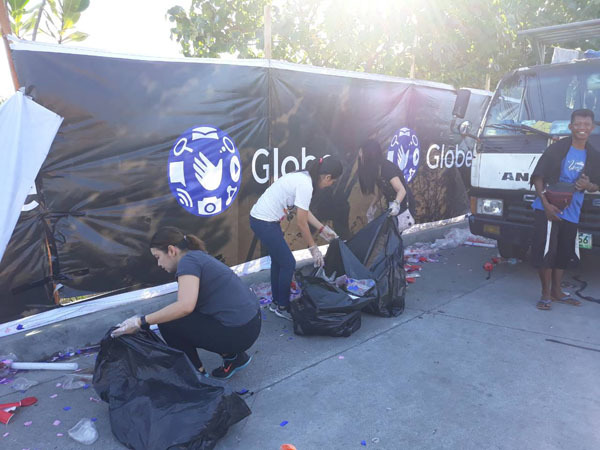 In an effort to contribute to the cleanliness and maintenance of the various festival venues around the city, Globe led a clean-up activity to collect trash left after the party as part of its #GlobeDinagyang 2018 lineup of events. The clean-up was held the day after Love Dance, a party organized by Globe in partnership with Headrush. Love Dance was attended by over 3,500 people who saw some of Manila’s best DJs including Mars Miranda, Carlo Atendido, and Deltrastreet, among others. Volunteers finishing up the clean-up drive. Volunteers from Globe and Headrush collected 28 bags worth of trash that were left during the wake of the event. 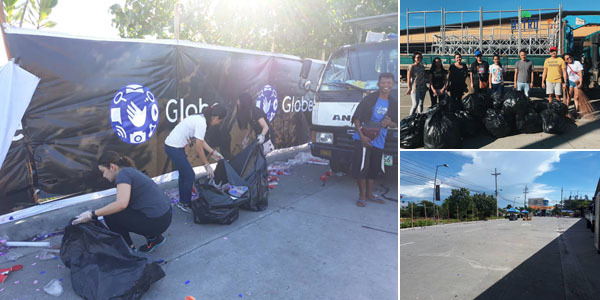 “Globe is committed to creating next-level digital experiences for our customers through our events, but we are also committed to ensuring that the event venues we use are taken care of through clean up drives. 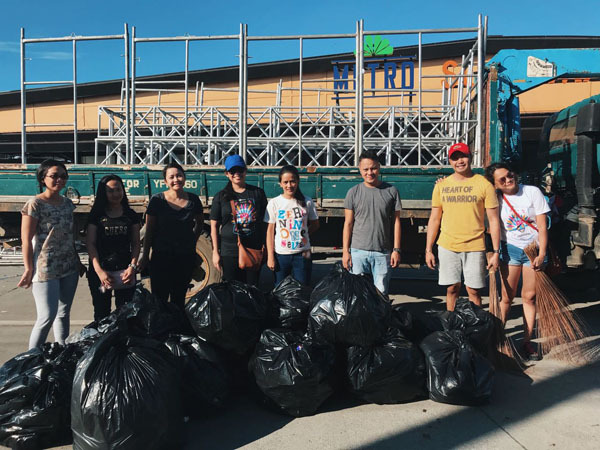 We are also glad and thankful for the volunteers who helped us gather more waste and clean the different areas,” shared Yoly Crisanto, Globe Senior Vice President for Corporate Communications. 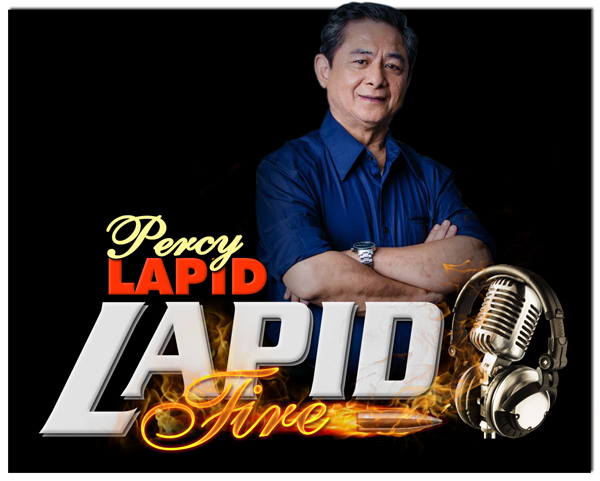 In the past, Globe has organized various environmental activities as part of its initiatives on sustainability and responsible partying. Since 2012, Globe has launched programs in Boracay on marine life protection, offshore clean-up training, support for conservation efforts by local stakeholders, and raising environmental awareness among the youth and local residents.